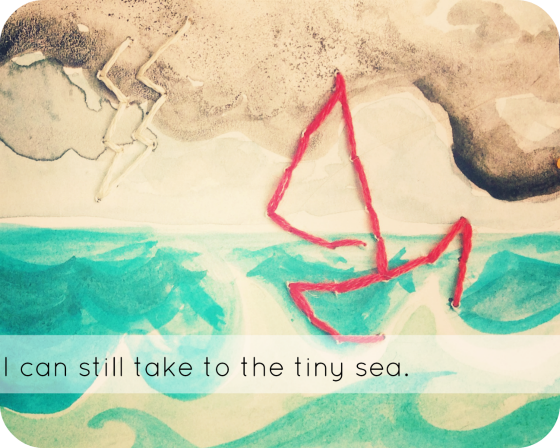 Image courtesy of Emily Chapman. Art courtesy of _CheckTheBox_. Licensed under CC BY 2.0. I grew up just outside of Decatur, an intown suburb of Atlanta that bills itself as “a city of homes, churches, and schools.” (Yes, really.) Though it’s not really Atlanta, in a metro area that still includes suburbs 2 hours outside of town, it is close enough. The town is basically what Berkley would be if it happened to be in Georgia; there are competing, longstanding independent coffee shops, and art fairs, and an annual book festival. A lot of earnest high school students are always around, playing ultimate frisbee. It’s a lovely town. I would be charmed if I discovered it as an adult. But I didn’t, and as a result I’ve maintained an uneasy relationship with it into adulthood: I like it, I should like it, I am a product of it, but it seems like cheating to stay in it. I’m not establishing myself as an adult in any meaningful way if I’m still getting coffee at the same coffee shop I’ve been loitering at since I was 15, even if it’s a wonderful coffee shop (and I drink beer in it, now). So, I’ve been staying away, finding new coffee shops in my new neighborhood a few miles away. It’s been a good choice, I think. Image courtesy of Jason Eppink. Licensed under CC BY 2.0. This weekend, I volunteered at BaconFest, the annual Dad’s Garage tribute to bacon and beer. 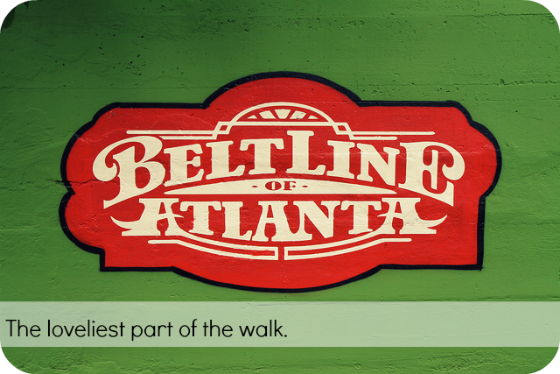 I did my eco-friendly part, and walked from my apartment to the venue using Atlanta’s super-excellent rails-to-trails program, the Beltline. This was a mistake. First off, as I am reminded of while writing this, I am in terrible physical shape/do not consume enough milk, and if I walk at something speedier than an amble, my shins hurt for the next three days.